We advise all cyclists to lock up their bikes properly. 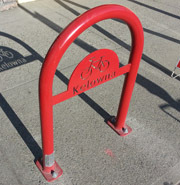 In an effort to provide for those who would prefer a more secure bicycle parking option, we have installed secure rental lockers in the downtown core and Pandosy neighbourhood. For only $12 per month you can secure yourself a locker – far cheaper than any vehicle parking pass! The parking office will provide you with the key for your dedicated locker. For more information, call 250-862-8585. 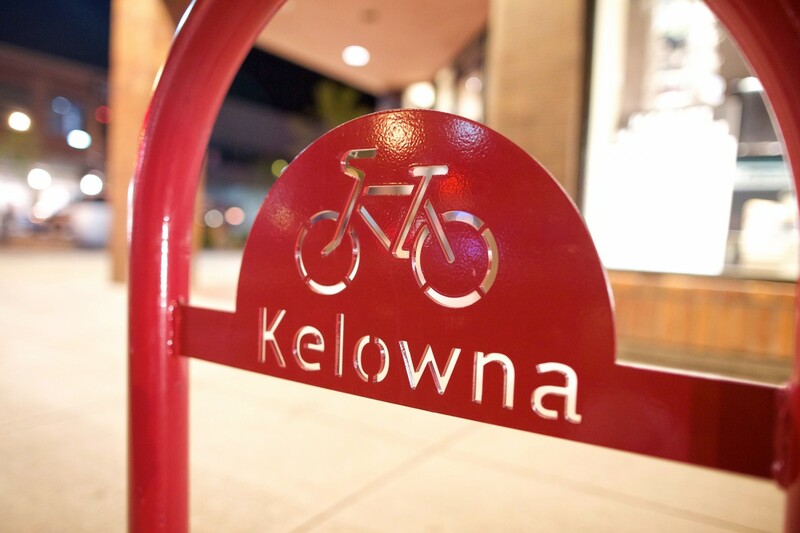 Please confirm availability with Kelowna Parking. Some lockers may be unavailable during construction projects in areas. Businesses that are interested in putting a bike rack in of their own can view our brochure. We will cover 50 per cent of the cost to purchase and install quality bike racks at qualifying businesses, and organizations that attract visits from the public. If you're interested in installing a bike rack, fill out the online application form and email it to the Active Transportation Coordinator. 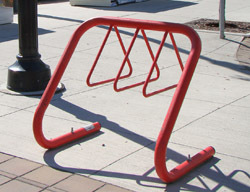 Requests for public bike racks for placement of city properties or right of ways can also be made by contacting the Active Transportation Coordinator. To learn more cycling safety tips, visit smartTRIPS. In fall 2016, Kelowna RCMP partnered with a community-minded online service called 529 Garage. 529 Garage is a free online mobile application registration system which will allow the Kelowna RCMP and bicycle enthusiasts to join forces through improved education, prevention and communication to combat bicycle theft in our community. Results have shown that the 529 Garage app has the potential to effectively reduce the number of bike thefts and increase the number of recovered bikes that police can then return to their rightful owners. Visit project529.com/kelowna for more information and to register your bike.